Connoisseurs of malt whisky are well aware of one of Scotland’s most stunning islands and its eight famous distilleries, but its popularity is nothing new. Not for nothing did the Lords of the Isles choose the surprisingly fertile Islay as the headquarters of their sea kingdom. It nestles in the Atlantic and, though often exceedingly wet, benefits from the balmy warmth of the Gulf Stream. During the autumn, 50,000 geese return to Islay. The beautiful pied barnacle goose makes up the largest proportion of over-wintering birds, accompanied by Greenland white-fronted, greylag and a handful of brent geese. Sometimes snow geese turn up too. 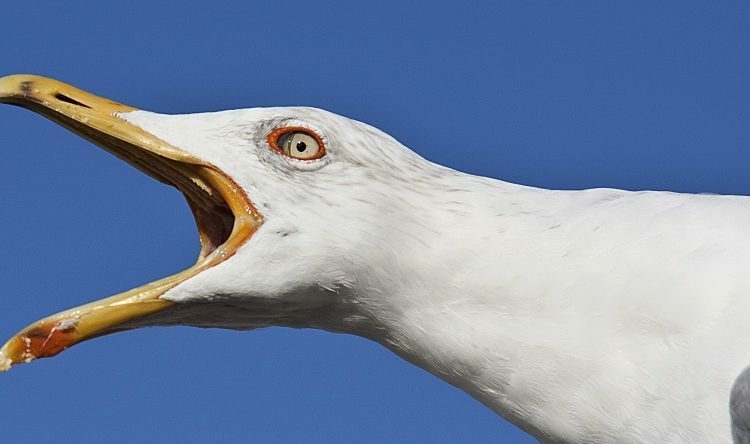 Most Islay farmers have had to come to terms with the invasion; some are compensated with subsidies but far more money is needed, even though the birds’ presence lures many tourists, boosting the island’s economy. Islay’s bird life is unsurpassed and it is not unusual to see all sorts of birds of prey here: sparrowhawk, kestrel, merlin, hen harrier, short-eared owl and golden eagle are all a common sight. In summer the shy corncrake is heard though seldom seen as it returns to rear its chicks in hidden iris beds and hay meadows. The eternal beaches backed by high dunes and short-cropped turf fringing Islay’s seaboard provide the perfect habitat for one of Scotland’s most charismatic and rare birds. As a stiff breeze whips in off the island’s western edge, bending the marram grasses and sending clouds of sand scudding down the beach, the joyous cries of choughs can be heard as they suddenly appear in a group rising and falling in dramatic flight overhead, teasing my dogs as if laughing at them. Supreme stunt fliers, choughs are also very playful. Their chattering calls and long raggedy wingtips with finger-like edges, and their crimson down-turned bill and legs, make them easily distinguishable from the more drab members of the corvid clan. The chough is the glamorous relation, a spirited dark gypsy adorned with vibrant red lipstick and nail polish. 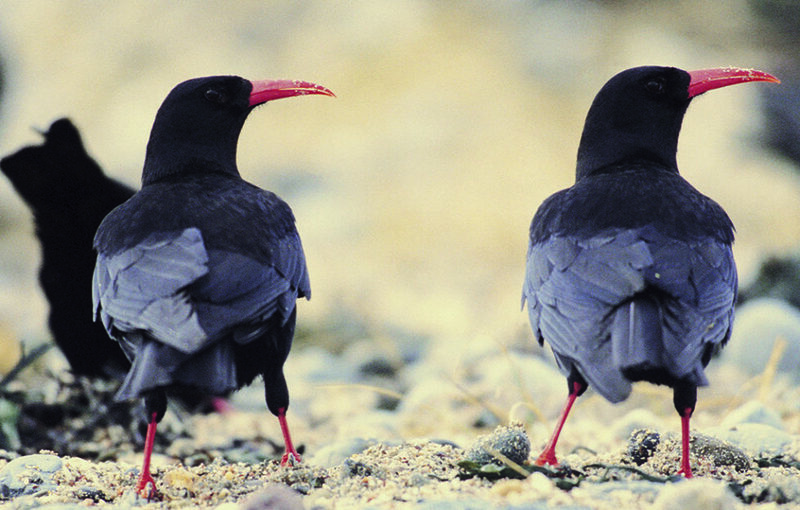 Islay and its neighbour Colonsay are chough strongholds, with almost the entire Scottish population found here. That, however, merely amounts to an average of 50 to 60 pairs. 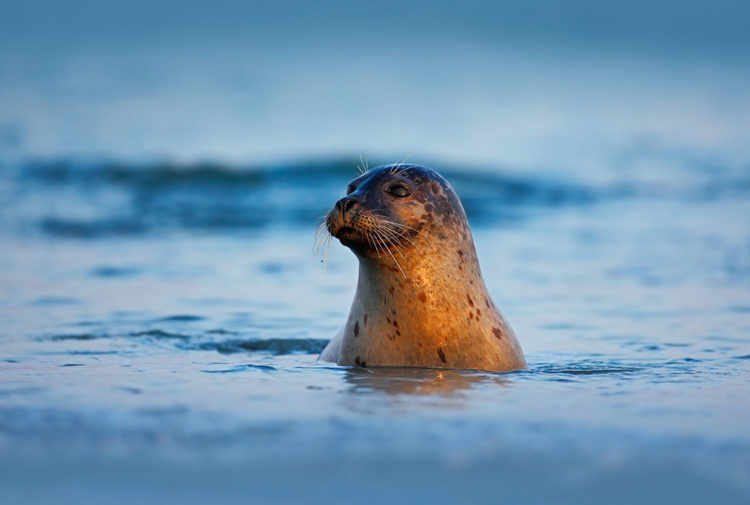 There are a few tiny groups on Scotland’s south-west coast, and small colonies cling on in parts of Wales and England. 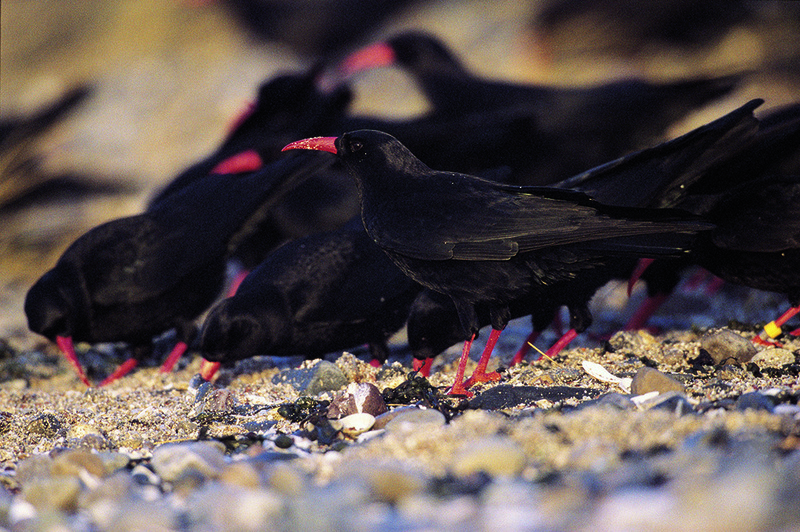 Ireland has more, but the chough could once be seen around all Britain’s shores. A hot steaming cowpat is the key to a chough’s success, as soon this will be a haven for dung beetles and the other invertebrates such as leatherjackets that make up the bird’s diet. But few industries have changed more in recent times than agriculture, and the chough is suffering as a result. Wetter winters have led more farmers to in-winter their animals to avoid the problem of feeding areas turning into quagmires. No cowpats means the chough struggles to survive, while the increased use of antithelmics (wormers) and insecticides means there are fewer palatable morsels in the dung. Choughs also depend on a close-cropped sward and cut silage fields, and thrive where banks of rotting seaweed sustain a healthy invertebrate life, which is another reason why Islay is such a perfect place for them. The mild climate also allows invertebrates to thrive all year round. 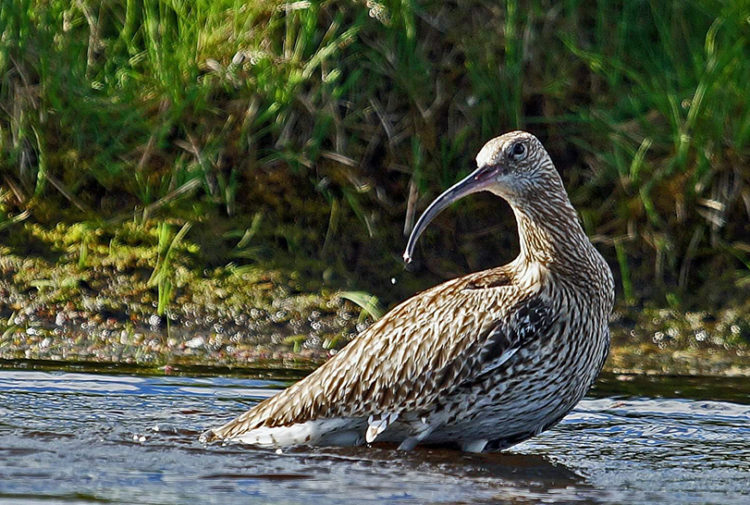 The RSPB has a large presence on Islay and is doing a great deal to help the chough. It has two spectacular reserves: Loch Gruinart in the north, with its working farm, has a massive sweeping estuary bordered by perfect chough habitat at Ardnave; and the wild and stormy Mull of Oa to the island’s south. On both reserves cattle live outside all winter, and choughs are doing well. It was found that when there were no outwintered cattle on the Oa, chough numbers fell and few birds bred in the area. Now farmers are given financial incentives to keep their cattle out, limit the use of chemicals and work closely with the RSPB to help choughs. Most Islay farmers say they are only too happy to encourage these lovely birds. 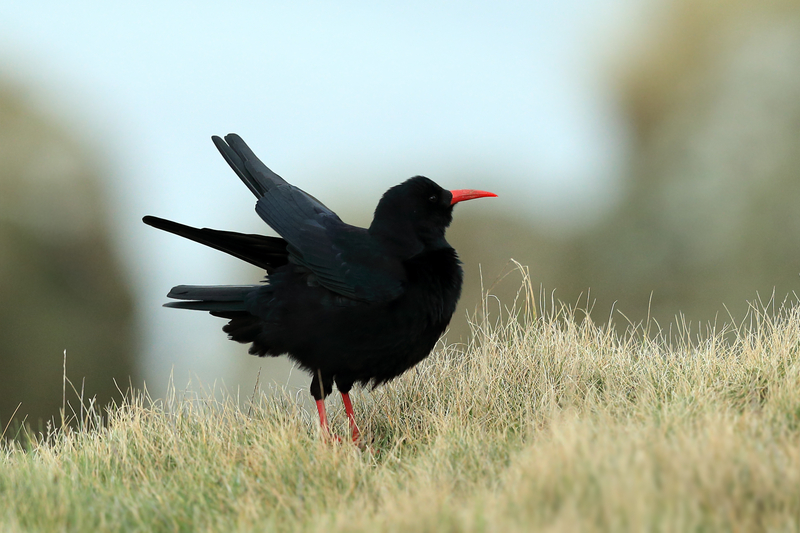 While dramatic changes in agricultural practice have largely been to blame for the chough’s struggles, there are other reasons for its decline. Its crimson finery has long made a target of the chough (its Latin name, Pyrrhocorax pyrrhocorax, means ‘flame-coloured raven’). The Victorians stole the eggs for their collections, and killed adult birds for taxidermy displays. By the early nineteenth century, numbers had dwindled to a few precariously isolated populations, and this despite the birds having been found on many Hebridean islands prior to 1750. Today on Islay, if numbers there are not expanding, they at least remain fairly stable. In this the ‘Year of Natural Scotland’, wildlife tourism is still focused on a few so-called iconic species, or what is infuriatingly and naively referred to as the ‘Big Five’. 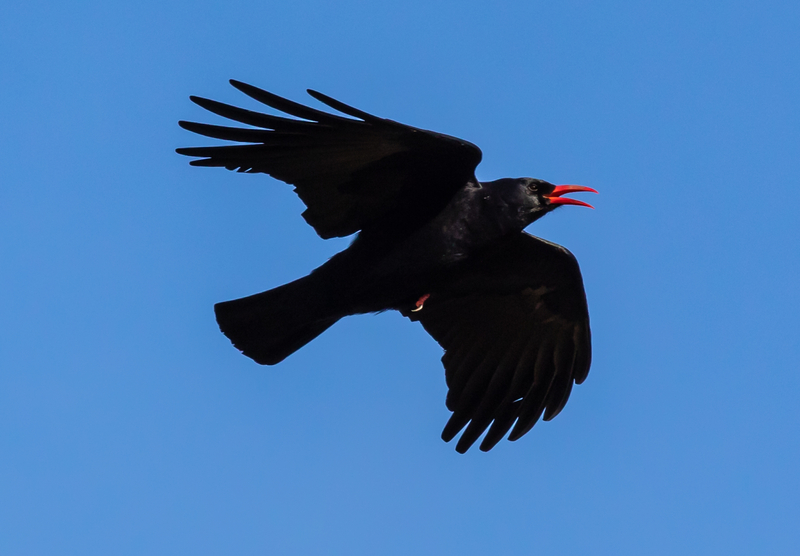 Yet birds such as the chough (long associated with Celtic folklore and religious beliefs) are equally valuable additions to our native fauna, and the bird deserves a higher profile. While the government appears happy to spend astronomical sums on giant pandas to lure tourists to Edinburgh Zoo, would it not be better to spend more on encouraging traditional farming practices and the careful management of suitable ground for birds such as the chough? The plight of the panda is tragic but we would do well to conserve our own wildlife first. The knock-on effect would benefit not only choughs but also a host of other farmland birds currently struggling for survival, such as curlew, lapwing, golden plover and corncrake. The delightful little corn bunting with its jangling call has all but gone, except for in a few remote parts of the Hebrides; perhaps it too would return. Nature can recover, given the chance. There are few such accurate barometers pinpointing the health of our ecosystems as our own native flora and fauna. The importance of carefully managed pastoral agriculture with its high conservation value cannot be overstated. But farmers are already squeezed, pressured into expansion and forced to make impossibly high demands on their land. There is now more than ever a tremendous need for schemes to promote traditional farming methods that would hopefully also encompass use of our own native breeds for the benefit of the entire ecosystem. It is only through this sensitive management that we will retain the chough, a bird worthy of flying high cheerfully up there amongst the very best of Scotland’s wildlife attractions. This feature was originally published in 2013.